I am hoping that International Scone Week 2016 will be as successful as last year. If you would like to know how this gathering together of scone recipes came about, please read here. If you take a look at the sidebar between the 29th and 31st of July you will see a list of all the bloggers who participated last year. I wanted to make every one of these recipes but somehow life got in the way and I only managed one! Create and blog a scone recipe and post it during the week of the 8th to the 14th of August. Use the hash tag #ISW2016. Once again I will create a side bar link to all bloggers who participate that will stay up for the year. I will update the links as the posts get published. That is perfect, and thank you for taking part! I’m pretty pleased about this – I love an excuse to make & eat scones. I’ll have something up by the end of the week! I’ll Sit back and vicariously bask in the baking done by Fiona@TIFFIN bite sized food adventures. That wonderful woman is my daughter. And what a great creative and innovative cook she is too. I remember my first batch of scones baked on my 21st birthday…a long time ago, on a freezing July day in a very cold kitchen in the outer western suburbs of Sydney. They were a disaster but my dear husband bravely ate his new bride’s scones with a faraway look in his eye at the promise of better things to come. Sadly I have never been much of a scone maker though I have definitely improved since my first effort in 1965.? I’ll be joining. I have my recipe ready. Thanks fr the reminder! International scone week is such a cool concept to come up with. I was just thinking about scones today! Hope you take part Jem! Oh, I love scones! A warm scone straight from the oven with strawberry jam is heavenly. Sorry you cannot take part Liz! 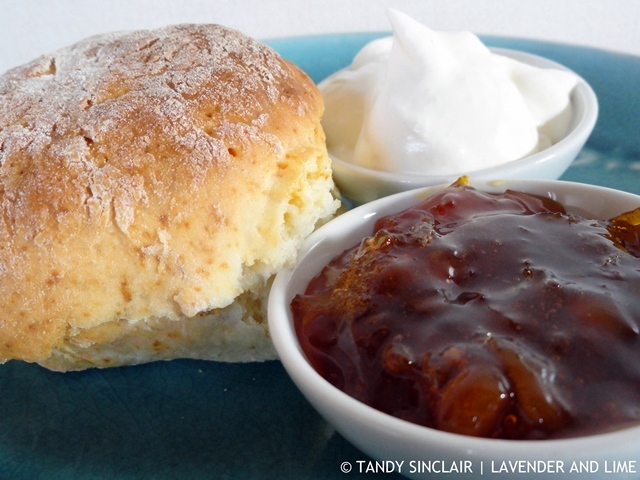 I love the idea of international scone week and will be sure to check in all the lovely recipes. I adore scones. But I usually buy them, I know…awful. Especially if I’m hosting a wedding/baby shower, you have to have them! Looking forward to lots of recipes to try. Thanks Tandy, what a great idea! Love that you made buttermilk scones, the texture looks perfect. Any type of jam will go with them. Great idea Tandy! looking forward to reading and seeing pictures of everyone’s scones! How do I sign up to be a taste tester or judge for all of these scones? Why not be a participant? I love scones but I rarely make them. You have inspired me to give it a go. 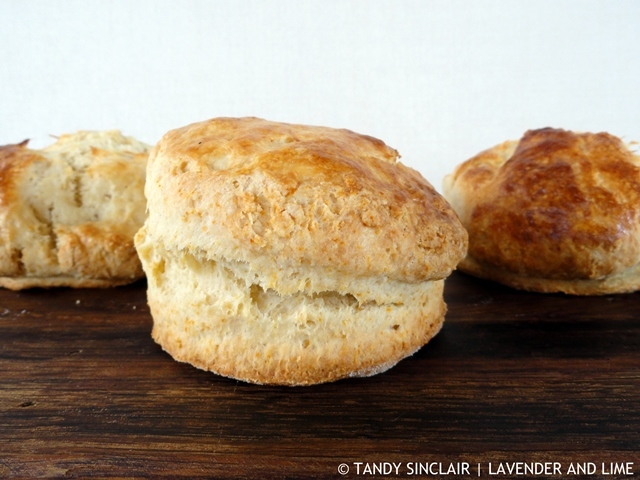 I had no idea there was such a thing as international scone week! Hope to take part this year. Oooh, goodie, I have an oven now so will have to try some scones! I do miss Celia’s hook ups.